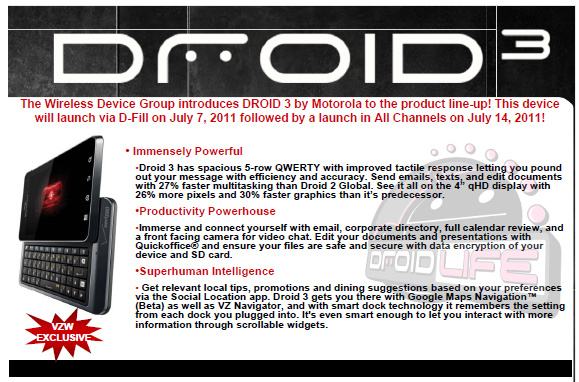 Well, we told you long ago that the DROID3 was launching on July 7 and just had it confirmed through our friends at Verizon. The device will be available via direct fill next Thursday followed by a mass store rollout on July 14 as a Big Red exclusive. Pricing is still unconfirmed, but we can almost guarantee that it’ll be $199 on a 2-year contract. 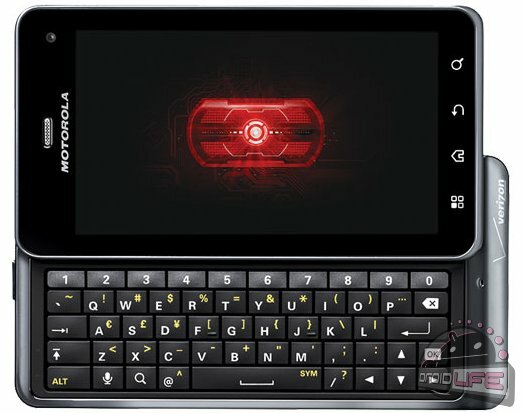 Specs are as we’ve known all along: dual-core processor, 5-row keyboard, front and back cameras, 1080p recording, HDMI mirroring, no LTE, 16GB internal storage, and Blur (the newest version). We knew those accessories that showed up in our inbox an hour or so ago were a good sign of a date to come, but who knew we’d have it this soon. Who’s ready for some D3?